MY13 Outbacks feature a new grille and foglight-surround, plus new look alloy wheels. THOSE with a penchant for diesel power and features will embrace 2013 models of the Subaru Outback. Prices on the 2.0 Diesel Premium variant have been slashed by $4000 to $42,990, but gains a new colour information display and a different alloy wheel design. The standard Outback 2.0 Diesel now has sat nav and also boasts a price decrease - by $1000 to $39,990. Sales of the large SUV slowed during 2012, and Subaru seems intent on hitting the ground running in the new year. There is no longer a manual transmission available with the entry-level 2.5i, while the automatic 2.5i is now priced from $38,490 - a $500 reduction in comparison to its predecessor but a $500 increase on the former model with a manual box. For an extra $1500 an option pack is available with the 2.5i, which includes leather trim, factory-fitted satellite navigation, rear air conditioning vents, powered driver's seat, electroluminescent gauges and colour information display. All Outback 2.5i variants feature an updated Boxer engine under the skin (that has slightly more power and torque but better fuel economy and C02 emissions) as well as an improved all-wheel drive system. 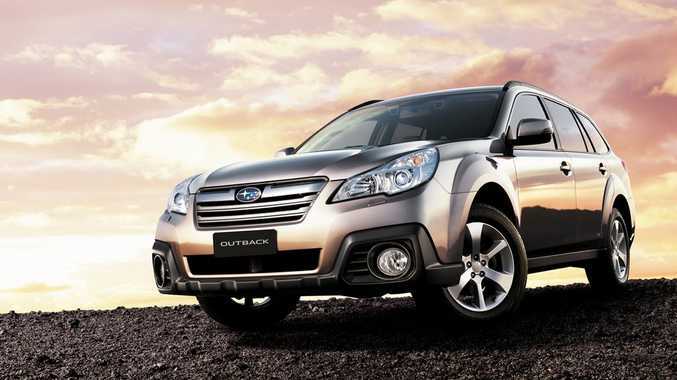 Outback 2.5i Premium gains Subaru's EyeSight driver safety system in addition to the colour information display. All EyeSight-equipped Outbacks feature front sun visor extensions, dusk sensing headlights and rain sensing wipers. Every Outback features a new grille and foglight-surround, plus new look alloy wheels.